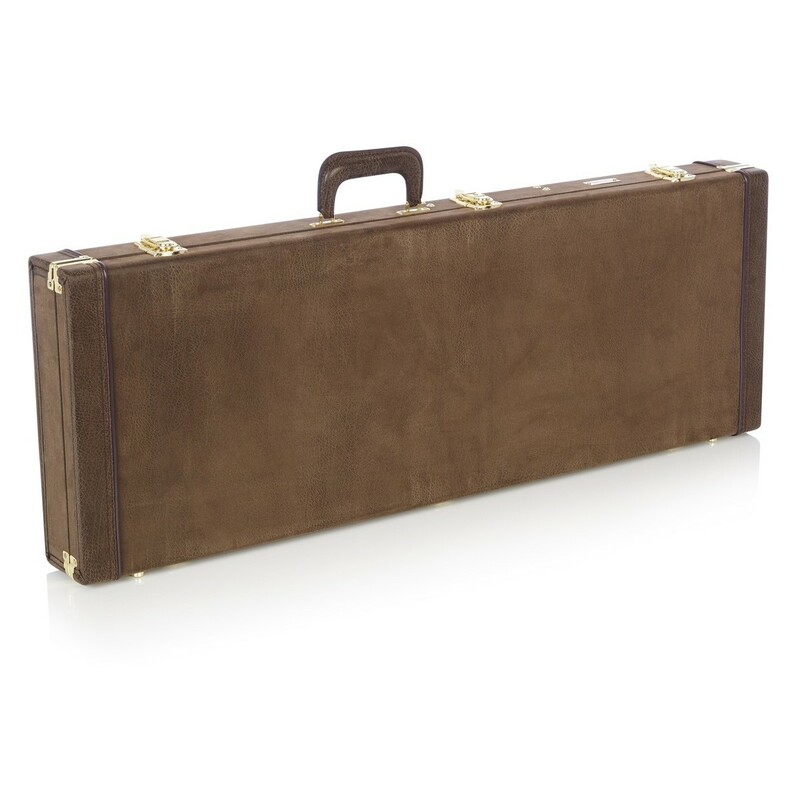 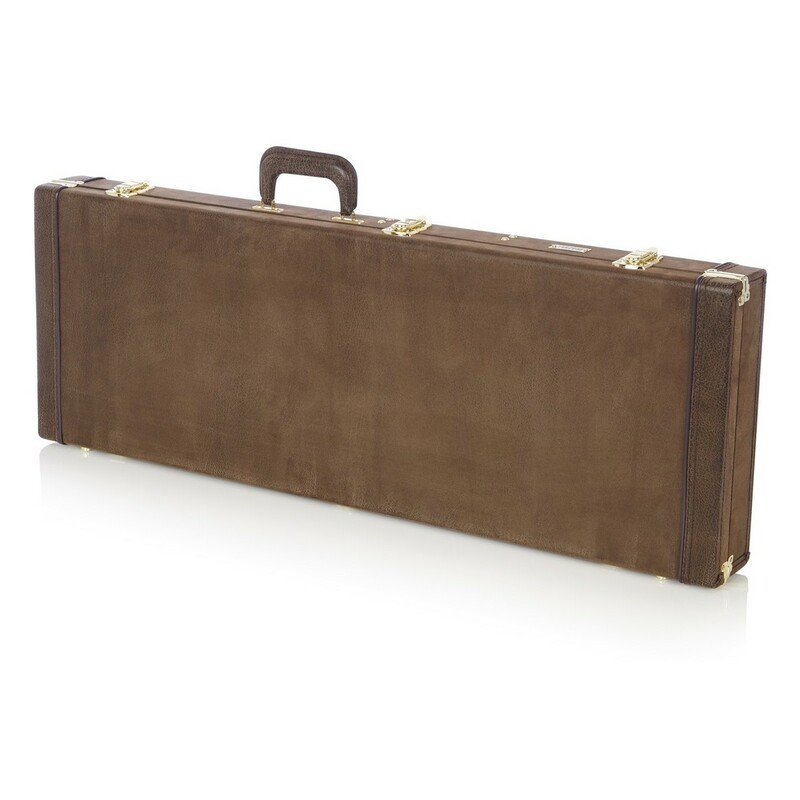 The Gator GW-ELECT-VIN Deluxe Guitar Case is perfect for a variety of electric guitars, allowing you to transport your instrument with ease. 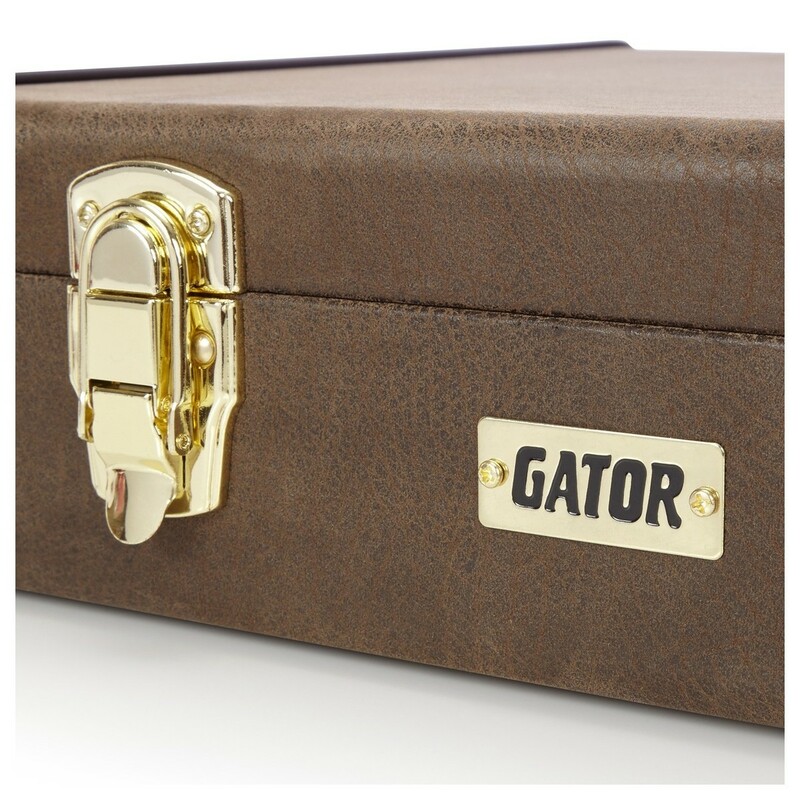 Features a rugged yet lightweight plywood shell with a vintage brown exterior, the Gator GW-ELECT-VIN offers superior protection against both impacts and moisture. 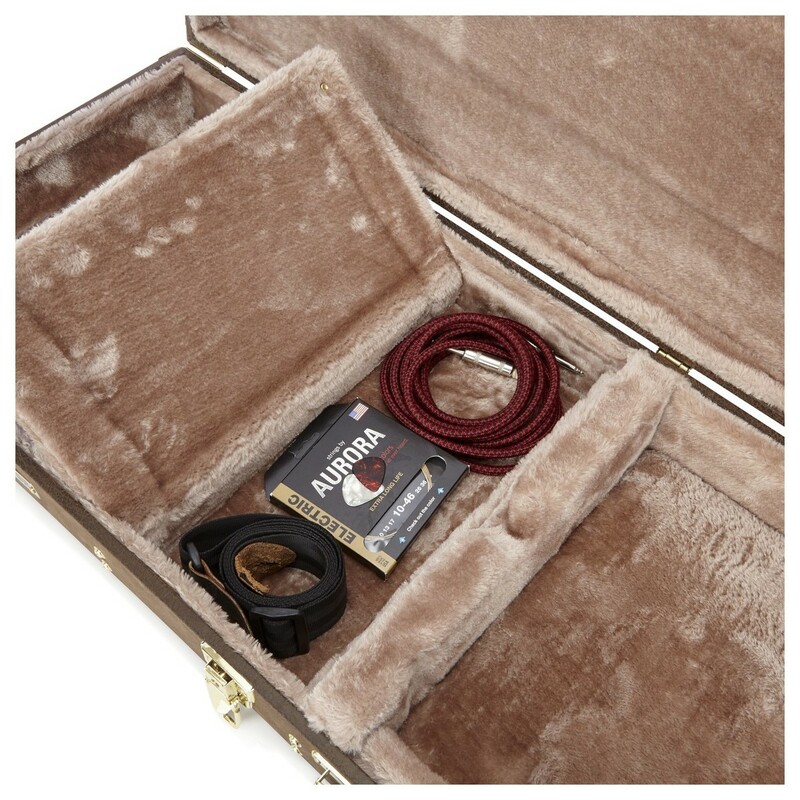 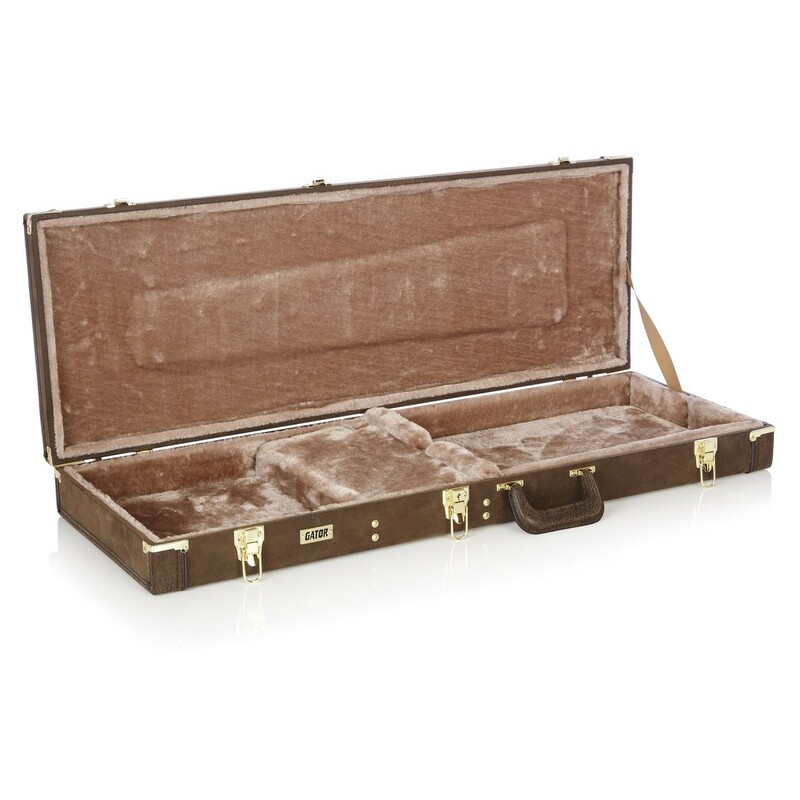 The interior of the Gator GW-ELECT-VIN case has thick foam padding and a plush lining, offering further protection and cushioning your electric guitar against accidental impacts. 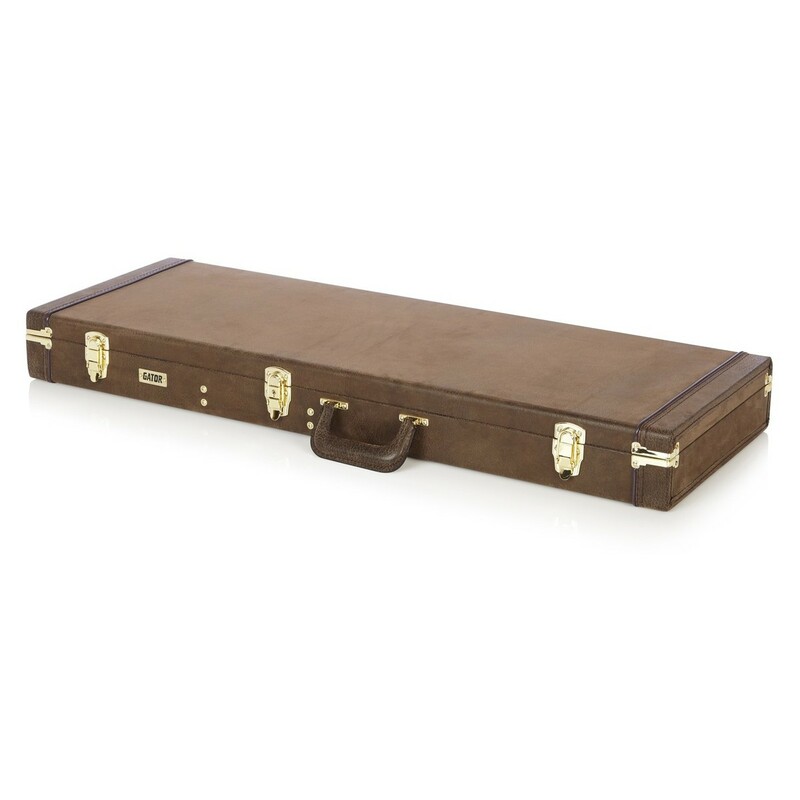 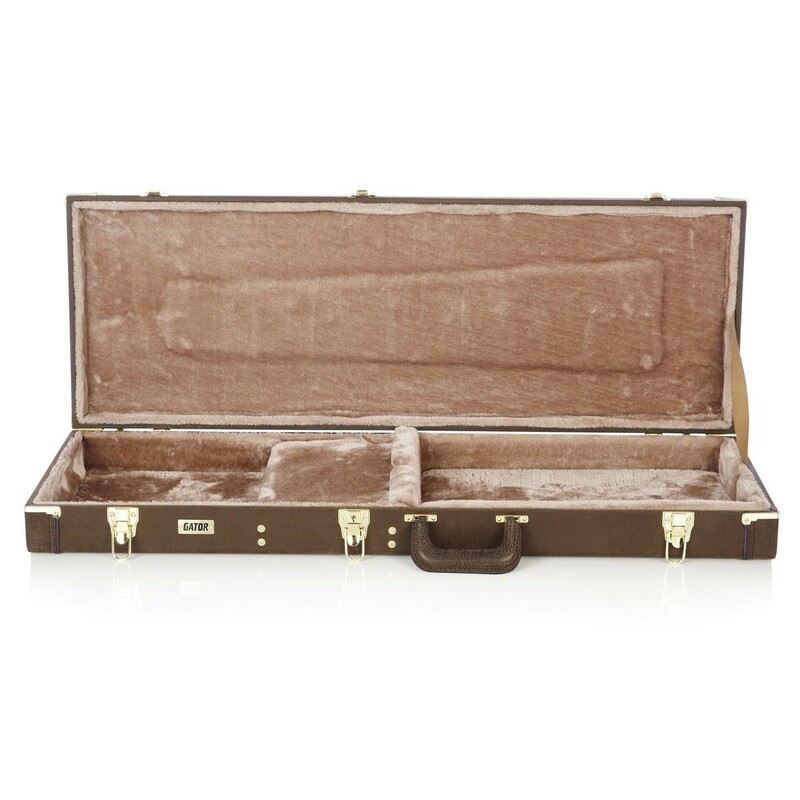 The internal neck support keeps your instrument safe whilst you're travelling and also provides a spacious compartment for storing accessories. 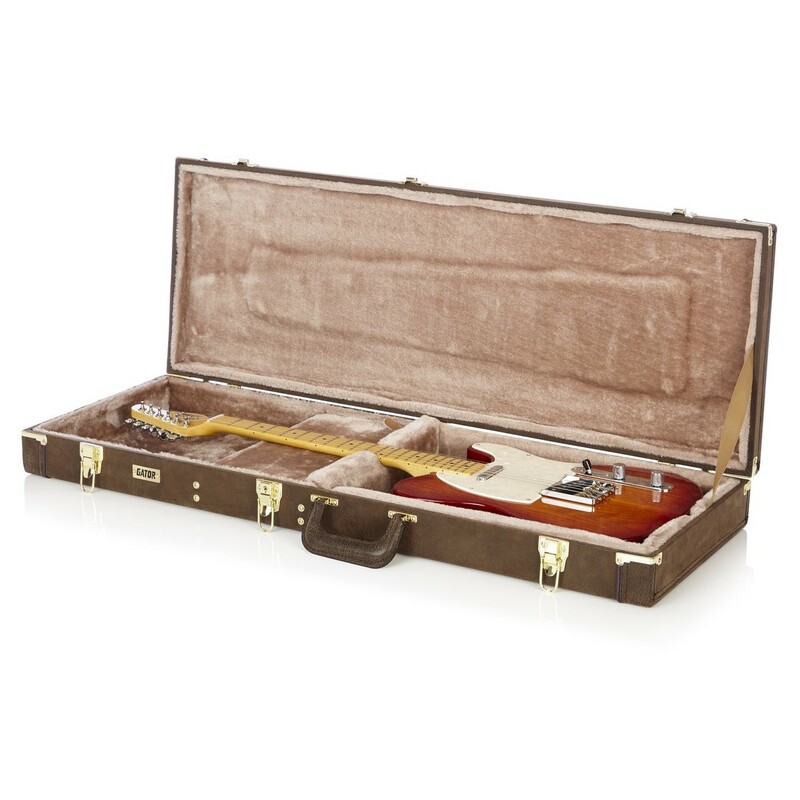 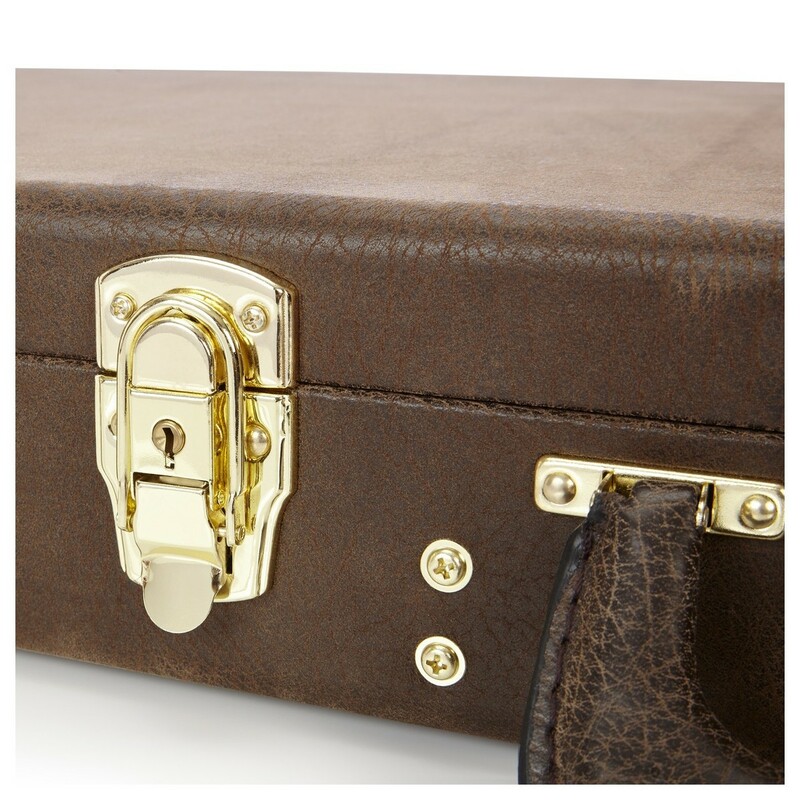 The Gator GW-ELECT-VIN electric guitar case is complete with lockable latches, chrome-plated hardware and an ergonomic side carrying handle. 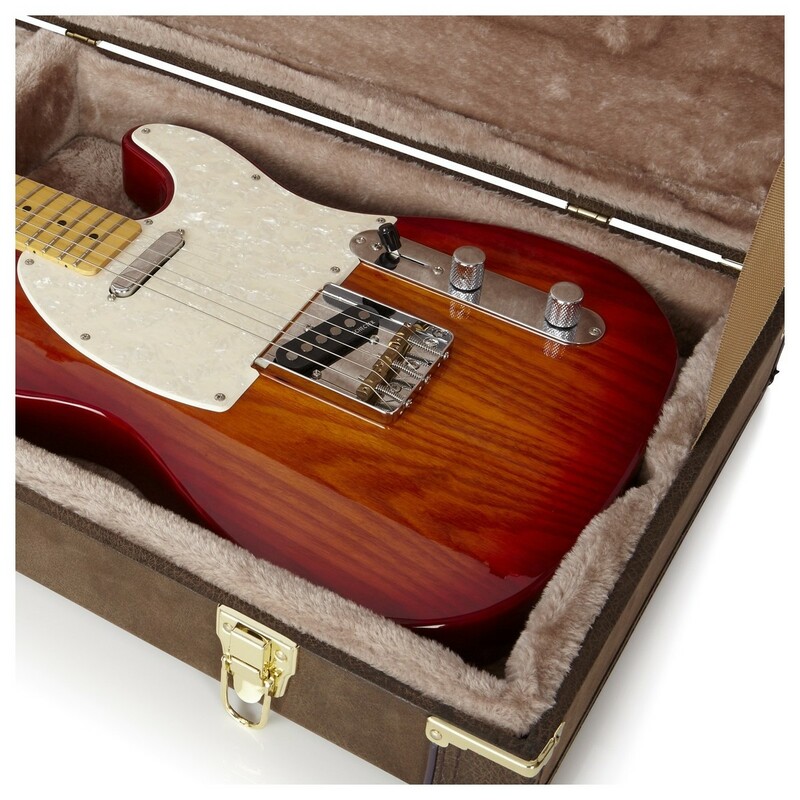 Please Note: The images shown are for display purposes only, and the Gator GW-ELECT-VIN Guitar Case does not included the guitar(s) or any of the accessories shown.